The recent passing of a law against Amazon by the French parliament (France24, BBC) was the result of an unusual level of concurrence between left and right wing deputies. The law, an amendment to the so-called Lang Law of 1981 relating to book prices which prohibits the use of free postal delivery as a way of providing a discount of more than 5% on the established price of a book, has been designed specifically to counter Amazon’s sales practices and, in theory, to protect small bookstores. As far as France’s politicians are concerned, Amazon is some sort of monster that takes advantage of the savings it makes on its low taxes by practicing dumping: selling at below cost price to overcome the competition, only to raise its prices when it has sufficient control of the market. In practice, however, Amazon, like many other e-businesses, complies scrupulously with tax legislation, and is simply able to reduce its costs significantly given its size and its insuperable operating efficiency. If the consequences of applying tax law to the letter by a company is something that the French state doesn’t agree with, then it will have to change its laws, rather than punishing those who comply with them. If the law allows a company to use tax havens to repatriate its profits and to play with transfer prices in an international environment is unfair, it is possible to argue that the tax laws should be changed; but this cannot mean that it should be applied to a few companies in particular that are simply using the law to improve their bottom line. But the nub of the issue is not tax law, it lies somewhere else. What Jack Lang, the then culture minister, was trying to do in 1981, was to establish that a book cannot be considered just another consumer product. Books’ supposed exception to the rule, based on their role as sources of culture, proves something that the passage of time has clearly shown: that culture has nothing to do with the physical form it takes. The manner in which culture is transmitted, whether through vinyl records, CDs, books, newspapers or otherwise, has created enormous distribution empires and a vast network of other business interests. The culture industry lobby cites supposedly noble ends to protect the culture, in the process allying itself with political power, when in reality all it is doing is protecting businesses like any other, and whose goals are to maximize their profits.This is not about culture: it is just about money. And what goals is political power pursuing by wanting laws of this nature? One would like to think they are about raising awareness of the need to provide or preserve incentives to produce culture, as well as to make said culture more easily accessible, rather than helping a particular business lobby make more money. We might ask ourselves if helping bookshops and publishers make money is necessarily the same as helping culture? The supposed reason why France’s politicians have so unanimously supported this law is in response to the plight of the country’s network of small bookshops that distribute books in the country’s towns and cities. There is no denying that the spread of online book buying is a threat to small booksellers, in the same way that the manner in which these shops organize their distribution doesn’t make it particularly easy for people to access culture. Small shops, their stock limited to what they can afford to keep in their little warehouses, along with their opening hours and their inability to compete with what is available online, have been fighting a losing battle for years. Of course it is true that bookshops, along with record shops, mean jobs, but can they, or should they, be protected? The answer to that question would be yes if that meant genuinely protecting culture, but is there really any link? To what extent can or should inefficient businesses be protected when we all seem increasingly inclined to order books via the internet, or even to buy them in digital format, thus avoiding the inefficiency of paper? Is this really about small booksellers, or is pressure being applied by publishers who prefer to negotiate with a myriad of small establishments rather than monsters like Amazon or FNAC? In short, are we talking here about preserving culture and access to it, or simply about preserving the negotiating power of one group over another? In reality, laws that regulate book prices, currently only applicable in Germany, Austria, Denmark, Spain, France, Greece, Hungary, Italy, the Netherlands, and Portugal, have not been shown to help foment the arts or to improve access to culture. Academic research on the effects of such laws has yet to provide any conclusive proof of this, and nothing indicates that countries allow booksellers to set their own prices are less cultured than those that don’t. Is interfering with market conditions in pursuit of cultural goals by methods the efficiency of which have yet to be conclusively proved? Or are we defending something else here? It is far from clear that protecting incentives to stimulate and improve access to the arts is best achieved by protecting the privileges of businesses that negotiate amounts given to the creator of between 8% and 10% on the final price of their work. The rules that allowed these intermediaries to best optimize said incentives to create works of art have changed with the advent of technology, and common sense calls for them to be revised. The fact that the French parliament can reach unanimous agreement on a law that has been dubbed “anti-Amazon” reflects their own inability to change the country’s tax laws, and is simply the application of economic theories that have not been thought through fully — or simply the work of a very powerful lobby. 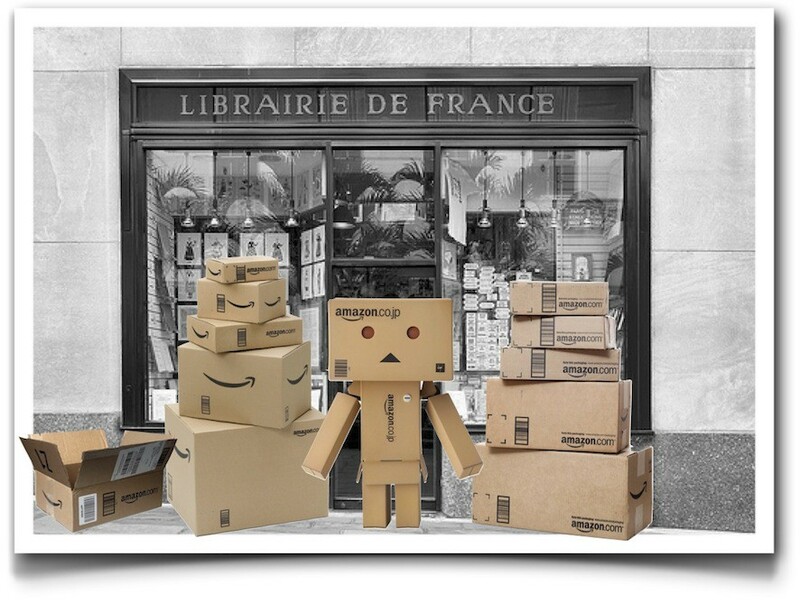 The best thing for culture in France, or any country, would be for Amazon to have entered a fiercely competitive market where it would have had to fight to offer authors and buyers a better deal. But in the face of the patent inability of the incumbent sellers in the market there to offer even a minimum of competition, protection laws such as France’s have little to offer, and will have little effect anyway. The only thing this new legislation will achieve is to hurt consumers, who will have to pay more, in return for benefitting—we can assume—an unsustainable structure. Preserving inefficiency in return for… nothing: or worse, the profits of a few.